Horses were significantly more likely to approach the individual displaying a submissive rather than a dominant posture. The ability of horses to read our body language, even when they don’t know the person, has been demonstrated in British research. The study centered at the University of Sussex showed that horses can tell the difference between dominant and submissive body postures in humans, even when the people were not known to them. Psychology researchers worked with 30 domestic horses to see whether they were more likely to approach a person displaying a dominant body posture (involving the person standing straight, with arms and legs apart and chest expanded), or a submissive posture (slouching, keeping arms and legs close to the body, relaxed knees). They found that even though the horses had been given food rewards previously by each person when in a neutral body posture, they were significantly more likely to approach the individual displaying a submissive rather than a dominant posture in follow-up trials. The findings, reported in a short communication in the journal Animal Cognition, enhance our understanding of how animals can communicate using body posture across the species barrier, and are helpful for informing horse handlers and trainers about the ways horses perceive human body language. “Horses are often thought to be good at reading human body language based on anecdotal evidence such as the ‘Clever Hans effect’,” said psychology doctoral student Amy Smith, who was a co-lead author of the study. Dr Leanne Proops, a co-author based at the University of Portsmouth, said that, evolutionarily speaking, animals − including humans − tended to use larger postures to indicate dominance, or threat, and smaller postures to indicate submissiveness. Clara Wilson, who also worked on the paper while an undergraduate at the University of Sussex, said: “We were interested in dominant and submissive postures with horses specifically because, although many trainers use posture as a training cue, little research has investigated whether horses would be sensitive to these cues without any specific training. 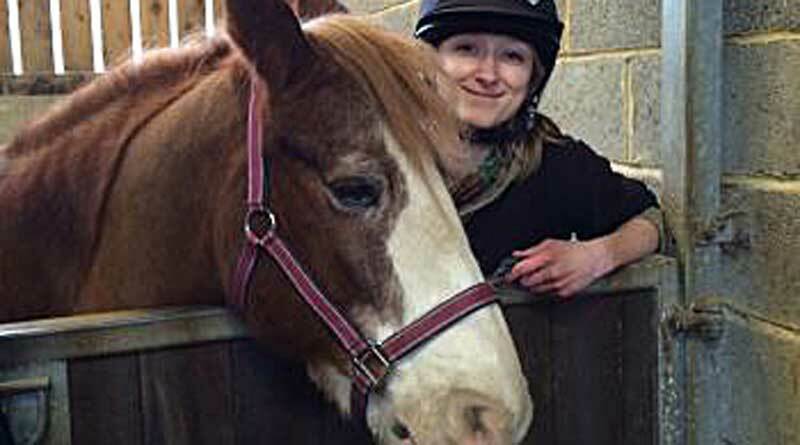 The researchers recruited the horses at three equestrian centres in Suffolk and East Sussex for the study. All the handlers were women, dressed in similar clothing and of similar size. A dark neck warmer covered their faces to eye level to minimise facial expression cues. The horses, who had previously been fed by two people, were given a free choice to approach either the person displaying the dominant or the submissive body posture. Over the course of four trials it was found that horses showed a preference for approaching the person displaying the submissive body posture, rather than showing a preference for an individual handler or a particular side. The study team said the findings raised interesting questions about the plasticity of social signal perception across the species barrier. No horse used in the study had shown an overall preference for approaching the person with the dominant posture. “These results demonstrate horses’ ability to spontaneously discriminate between human body postures without explicit training and towards unfamiliar individuals,” they wrote. They said the fact that horses’ preference for submissive postures could be explained by either an avoidance of the dominant, as larger postures were typically used in threatening contexts, or an attraction to the submissive as a signal of appeasement or compliance. Horses, they noted, typically avoided dominant members of their group, but also followed them towards food sources, so the adaptive significance of approaching or avoiding dominant individuals was likely to be complex. They continued: “These results raise interesting questions about possible universality and flexibility of dominance signalling across species. Smith, A.V., Wilson, C., McComb, K. et al. Anim Cogn (2017). The short communication, published under a Creative Commons License, can he read here.